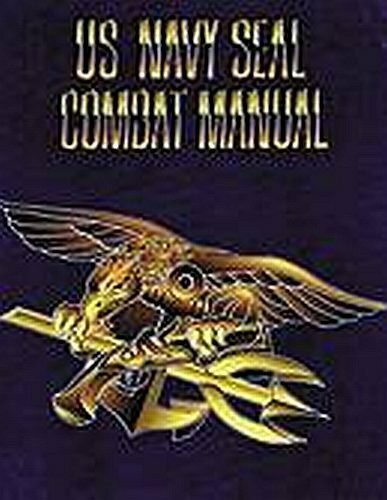 This is it, the combat Bible for the Navy SEAL’s. These men have a reputation as some of America’s toughest. They have to be since they are specialists in the deadly arts of special warfare - trained to attack from land, sea or air. 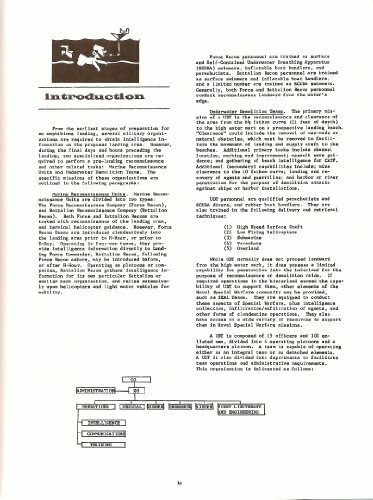 Hard-to-find information on communications, boats, electronics, special weapons, diving, demolitions, intelligence gathering, first aid, use of map and compass, airborne operations, survival, etc. A massive book, latest available edition with an amazing amount of information on everything from using a hand-held sonar to sentry stalking and blowing up anything the enemy can build. 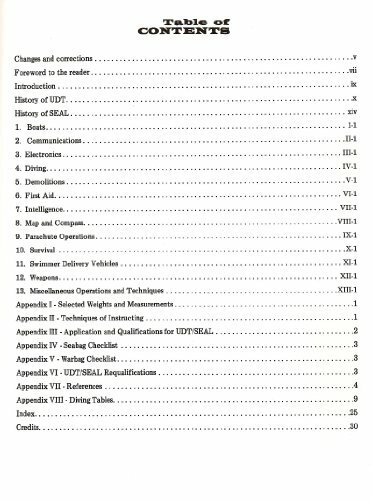 Includes a brief history of UDT and SEAL’S, diving tables, war bag checklist. 81/2x11, 240 pp. illus.